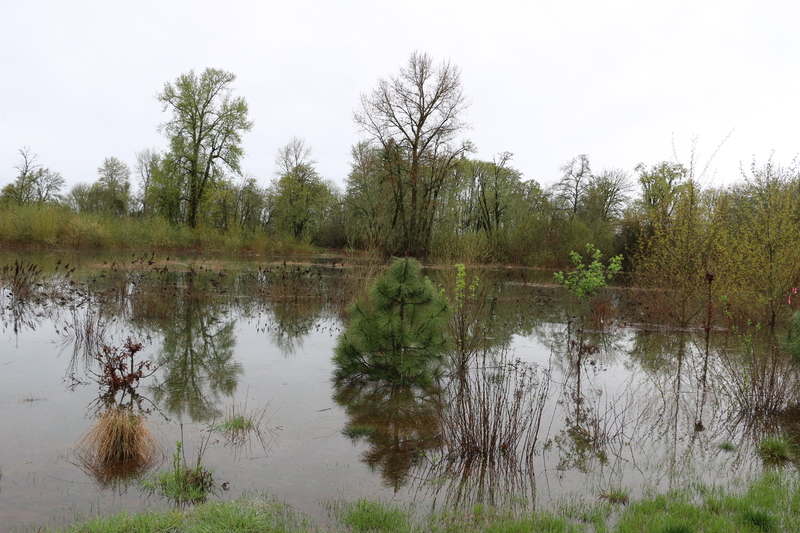 The Willamette River is the ecological life-line that runs through our Valley, but we often forget that it’s there. Bridges allow us to sweep over it in a blink and steep fortified banks make it hard to approach the water. 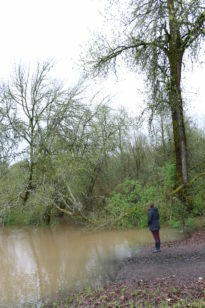 But last week’s flood closed Highway 34 and forced us all to stop and appreciate the power of the River. 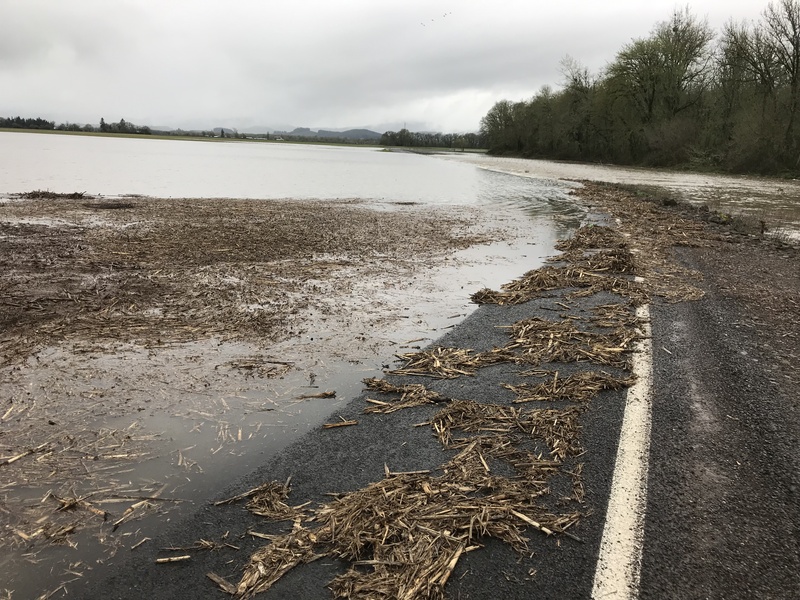 Over the years, 13 dams have been placed on the Willamette and its tributaries in order to reduce the damaging impacts of widespread flooding in the Valley. While that has benefitted all of us in one way or another, it has had significant impacts on fish and wildlife populations. 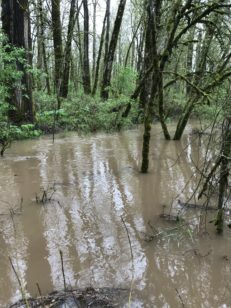 In order to address this problem, Greenbelt Land Trust manages about 1,000 acres on the Willamette Floodplain to help support fish and wildlife affected by the dams. 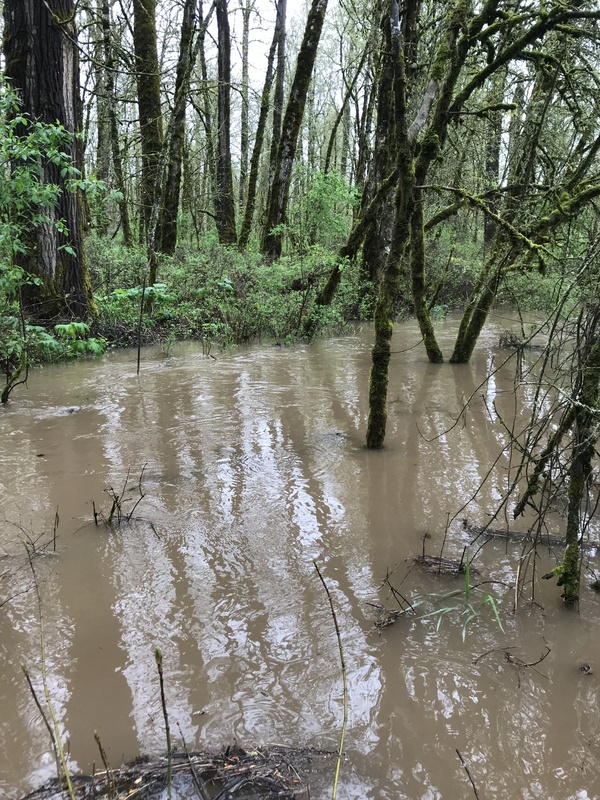 While you may have been annoyed by the endless traffic jams last week, you may find solace in the fact that juvenile Chinook salmon were likely finding refuge on one of Greenbelt’s properties specifically designed to support these endangered species. 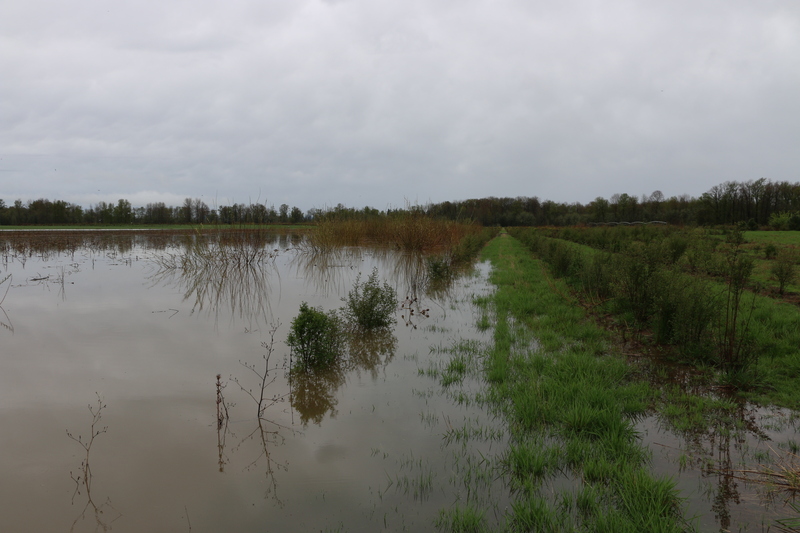 Our newly restored floodways serve as a nursery for young fish and the side-channels protect them from being swept out to Astoria! To date, we’ve planted nearly half a million trees and shrubs on the floodplain which will help filter the flood water and reduce the intensity of the floods. Just one more example of how taking care of the land takes care of us all.